Random quote: A broken heart is what makes life so wonderful five years later, when you see the guy in an elevator and he is fat and smoking a cigar and saying long-time-no-see. Had trouble with the one from Kentucky as well. Package received! Thank you for the hitchhiker, never smoked one of those before. The review cigar looks great too!! When is the review due date Colin? Package has also landed in MN. Thanks Brother! Got mine today, in an Apocalypse-proof box. 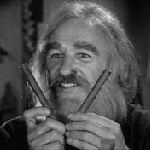 Colin, the mystery stick smells and looks delish, my brother! Whatever Colin selected for you to review will be great I'm sure... Enjoy guys! The eagle has landed. Safe, sound,well protected and looking quite tasty. Can you tell me anything about the Hitcher? Thanks Colin. These have 2-3 years on them (the blind review has 4+). I WISH I could find them for $4 as stated in the review, I'd pick up 2 boxes today! The blind and hitchhiker are 2 of my favorite cigars that have never let me down. I am looking forward to them both. jharrisx5 - 7/20/2018 11:03 PM Whatever Colin selected for you to review will be great I'm sure... Enjoy guys! Thanks Colin for letting me partake! Just shy of 2 hours well spent....and it honestly has me baffled. Had a hell of a time figuring out what I was tasting, not one of my better reviews but the score didn't suffer from my ineptitude that's for sure. It's November 1st - where are the submissions?!?!?!?!?! Like last time, we will put the review under the cigar we think it is? Correct, unless Pete says otherwise. I’ve submitted mine. I have no idea what it was but it was good. Where can I see who has submitted a review for this? That’s How Colin told me to do it Tom.